I remember a book from school where a girl was being raised by a robot on an alien planet. The robot genetically altered the girl to deal with the environment of the planet. She didn't know she was different until other humans arrived and.....I can't remember what happened after that. This would have been early 90s but not sure if book was a bit older. 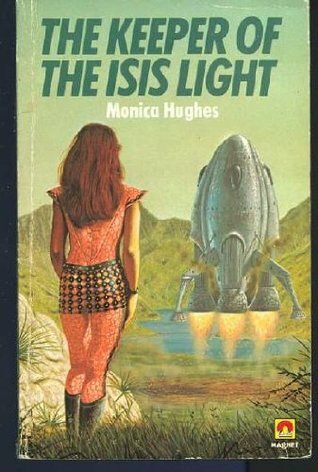 This looks like it may be The Keeper of the Isis Lights by Monica Hughes, the answer to YA series with a housekeeper or protector robot and set on a planet with a harsh sun. Olwen is a young human woman living on the planet Isis as the keeper of the Light (a navigation beacon). Her parents having died, her only companion is a robotic DaCoP (Data Collector and Processor), called Guardian. On Olwen's 16th birthday (10th on Isis), the Guardian tells her that settlers are coming from Earth to Cascade Valley. Olwen is in distress thinking that these settlers will ruin her perfect world. Guardian explains that she must wear a special protective suit to protect her from the viruses and bacteria the settlers might be carrying. One of the younger settlers, Mark London, falls in love with Olwen, and Olwen wishes Guardian to allow her to see Mark without her suit. Guardian refuses. One day, Mark overhears Guardian discussing some of Olwen's blood samples with Dr. MacDonald and he thinks Olwen might be in trouble so he climbs up towards her house. When he sees Olwen, he suffers an accident and falls from the top of Lighthouse Mesa. This turns out to be because of his shock at Olwen's appearance under the suit. Later, Guardian tells Olwen the truth about the death of her parents, and his subsequent care of her as her mother wished. To keep Olwen safe, he changed her genetically, so the ultraviolet rays from Isis' sun, Ra, would not harm her, allowing her to climb to Isis' mountain heights. Shocked at the realization that Mark fell because of her, Olwen tries to enjoy playing with her favourite pet, a dragon-like native animal called Hobbit, when Hobbit is shot by hunting settlers. In rage, Olwen chases the Hunters back to the village. When the settlers see Olwen, they are disgusted by her appearance. Olwen refuses to wear the suit and vows to never go down into Cascade Valley again. Not the answer you're looking for? Browse other questions tagged story-identification books robots or ask your own question. YA Book (series?) - Trying to find a SF story about a young girl raised by a robot on an alien world?